CAPO29 is fast approaching and now is the time to nab a ticket. For those who need to be brought up to speed here, CAPO is the Contemporary Arts Patrons Organisation – a volunteer non-profit organisation that has supported the ACT region’s artists for 29 years. Since establishment in 1983, CAPO has disbursed over $1.8 million dollars as arts fellowships and awards to artists with support from the Canberra arts and business communities. Goods and services donated to CAPO by Canberra businesses, and outstanding artworks by Canberra’s highly collectible established and promising emerging artists are sold at the annual CAPO auction. 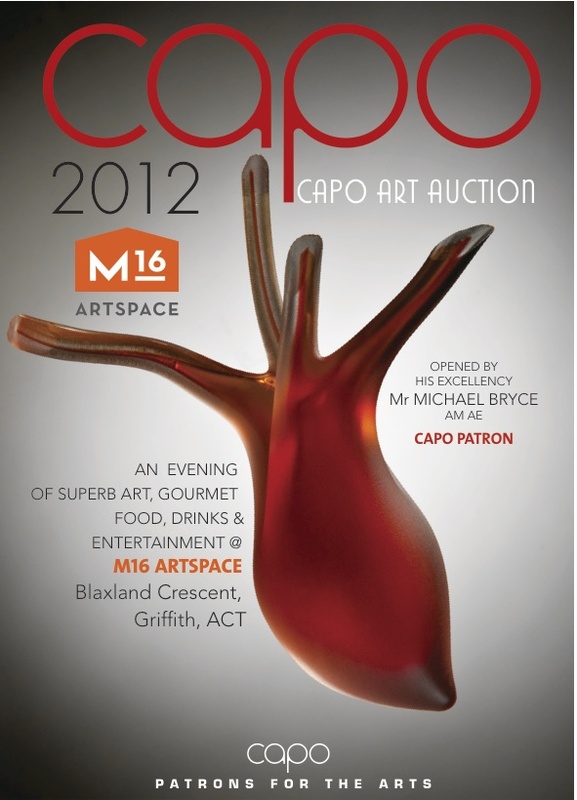 Years before I attended my first CAPO auction I knew of it as being the art party of the year. Freely flowing wine, plentiful tasty tiny foods on trays and everybody who is/was anybody in the Canberra art world all cheerfully turned out. And then comes the incredible selection of art, all up for grabs. This is the place to head if your collection needs bolstering, or even if it doesn’t. Tickets are on sale now, with money from sales going directly back into the event and the support of Canberran artists. Check out the official invite here and set aside the date of Saturday September 8th. More info is also at the CAPO website. See y’all there!